All you need is a computer and an internet connection! Mass spectrometry technology has expanded dramatically. Now there is a convenient and cost effective way to learn the fundamentals as well as keep up with the latest technology. 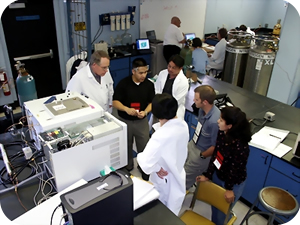 Our principal instructors, Professor O. David Sparkman and Frederick Klink, deliver training courses on mass spectrometry with over fifty years of combined experience. 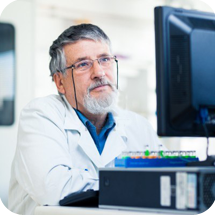 Our goal is to deliver up-to-date training on the basics of mass spectrometry as well as its leading edge technology developments. Why should you take a training course? Mass spectrometrists are challenged with new technology, new compounds, and new responsibilities. Our courses are updated regularly to provide the very latest tips and techniques on new technologies. There is a growing demand for cross-training, so the most valuable analysts are the ones who are up to date with the latest analytical tools. 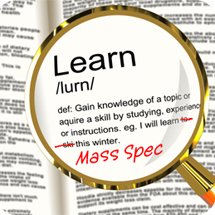 Mass-spec-training.com is a leading provider of mass spectrometry and chromatography continuing education courses for analytical chemists.